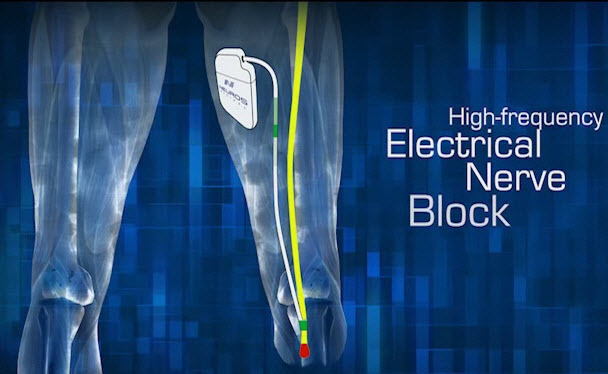 Medtronic neurostimulator devices can offer hope for chronic pain sufferers. The innovative pain control devices could change the lives of patients afflicted with daily chronic pain as a result of physical injury, trauma, and/or illness. These devices are not appropriate for every patient or pain condition. However, for those who are deemed prime candidates, neurostimulator devices can provide life-altering pain therapy. A neurostimulator is a surgically implanted device that is shaped like a discus and is the size of a fist. It relays varying degrees of stimulation to the epidural space near a patient’s spine through a series of medical wires, known as leads. The leads are made of titanium and the stimulation produces a vibration or buzzing sensation in the area of the affected individual’s chronic pain. These electrical signals serve as a source of stimulation for damaged muscle and nerve tissues that plague chronic pain sufferers. The stimulation generated by the device mimic the stimulation that should be occurring naturally within the tissues, yet cannot do so as a result of injury or disease. Neurostimulation also provides pain relief by interrupting pain signals before they arrive at the brain and can be processed. The neurostimulator sends out mild electrical signals that reach the brain before the pain signals can arrive. Therefore, chronic sufferers experience a tingling sensation and therapeutic benefit as opposed to prolonged trauma. Furthermore, each patient who has an implanted device can adjust the intensity, frequency, bandwidth, and location of stimulation using a handheld remote. For example, the patient can manipulate optimal levels of stimulation throughout the day or while engaging in certain activities, such as standing, sitting, sleeping, or adjusting one’s body into a prone position. As the pain management industry continues to expand exponentially, Medtronic neurostimulator devices can offer hope for chronic pain sufferers. Medtronic offers a variety of neurostimulation systems with various features designed for individual needs, as well as different chronic pain symptoms and conditions. If an individual is deemed a good candidate for the pain management system, the patient and their doctor can collaborate and determine which products might provide the best possible pain treatment options for that candidate. For example, RestoreSensor is a Medtronic-produced device, as well as the world’s first neurostimulator, to automatically adjust the amount of stimulation transmitted when a patient changes their position. Neurostimulator–This is the unit that is used to generate the stimulation. It is usually implanted under the skin in either the upper region of the buttock or within a patient’s abdomen. Leads–These components are thin, medically enhanced, and insulated wires that deliver the stimulation to the epidural space near the spine and block pain signals transmitted to the brain. Physician’s Programmer–This is a computer device that is carried by Medtronic reprogrammers and/or is located at a physician’s office that enables a doctor or reprogrammer to reconfigure the system and adjust its settings. Client’s Programmer–This is a handheld remote a patient is provided for at-home use to customize their stimulation within the settings the doctor or reprogrammer has selected and programmed into the implant unit. The neurostimulation implant device itself is quiet and discrete. It may be detected as a small bulge or pouch under the skin, but is not typically visible through a person’s clothes. The surgical procedure involved in implanting the device is extensive and has risks associated with it. However, the benefits obtained via neurostimulation will likely outweigh the possible side effects. For the record, the author of this article, Guardian Liberty Voice (GLV) Writer and Editor Leigh Haugh, is a longtime chronic pain sufferer and neurostimulator device recipient, as the result of a serious work-related accident and injuries sustained in March of 2001. She is living proof that Medtronic neurostimulator devices can offer hope for chronic pain sufferers. Here is a video to give readers an overview of the potential benefits associated with Medtronic devices. 17 Responses to "Medtronic Neurostimulator Devices Offer Hope for Chronic Pain [Video]"
Who cares about costs? Unless you have severe osteoporosis, disc disease and on top of that to include crippling arthritis, gout, heart disease, kidney disease etc. need I go on here? The major objective is to lessen the pain and I am speaking for my wife because I am the caretaker and I see what she goes through day in and day out. Any suggestions you expert researchers? I think it is too early give ones opinion . Yes, you are correct. The image I posted was of the recharging unit given to each patient in order to recharge their surgical implant device. I could not obtain an appropriately sized image of the neurostimulator device itself that I could apply to the article. Our publication has specific image sizing requirements and I could not locate an image that met the requirements. I am a longtime recipient of the stimulator device and I know exactly what it looks like. Nice article, Leigh. Nothing I personally didn’t already know as I have been using a Medtronic stim since May of 2006, but it’s always good to put this information out there for others to see and understand. @Ruth, your link to the Mayo Clinic video is also appreciated, but I would be wary to makethe “Scrambler” sound like a definitive cure or even simply a “better” alternative, since even the narrator in the video states that it may not work for everyone. Those of us with genuine chronic neurological pain (as opposed to musculoskeletal pain) have found or will find that the solutions that work best for us are almost as unique as our conditions or our personalities are. Doctors who are willing to explore the full array of pain reducing techniques in various combinations are what we need most. The real bottom line is what works best for the individual. All individuals are different and not every individual is a candidate for a stimulation device, as I clearly explained in my article. Just like every patient is not a candidate for your scrambler therapy option. There are strict guidelines and criteria for an individual to be considered for a stim device and candidates must meet these criteria, as well as adhere to the guidelines. I myself have endured numerous other pain therapy methods prior to receiving the neurostimulator device. I was injured back in 2001 and have tried a variety of other non-invasive therapies over the years (PT, OT, aquatic therapy, pain meds, myofascial release, acupuncture, nerve blocks, stellate ganglion blocks, etc.). None of them provided me with more than 3 weeks of relief from my pain. Most of them did not even touch it at all. Some of the therapies even exacerbated my injuries and subsequent pain. Before receiving my implant device, my chronic pain was debilitating on so many levels. I did not even feel like a whole person…I was broken, damaged, and in excruciating pain. The neurostimulator device finally enabled me to take control of my pain and restored my sense of self. It gave me back my life. I clearly stated in my article that this solution is not for everyone, but luckily, it has been very beneficial and effective for me. I am never pain-free and likely never will be again as a result of my accident and the injuries I sustained. However, I also never gave up and was determined to find a therapy that could help me manage my pain and regain my life. Fortunately, I found that neurostimulation has been a gift for me. However, it is not suitable for everyone and neither is your scrambler therapy option. Again, it is all about what works best for the individual. That is the bottom line. Thank you for your contribution. Sorry it’s not quite so simple. First of all you have never tried Calmare. There is nothing like it in the market.A study done by Johns Hopkins that achieved a 95% reduction in pain with NO side Effects. http://www.ncbi.nlm.nih.gov/pubmed/23838448?dopt=Abstract Have you ever seen that kind of result before? Second it’s non-invasive, a lot less risk here. We aren’t comparing apples to apples. an invasive procedure involving the spinal cord is no small thing. Third, cost. Calmare is a fraction of the cost of a spinal stim. I agree there is a place for a spinal stim only after the patient has tried a safer less costly solution and the pain is unbearable..Calmare works about 80% of the time for any chronic neuropathic pain. In my view everyone should try Calmare before a spinal stim for the reasons stated above. That’s a no brainer. Yes, I have not tried Calmare. I will familiarize myself with the treatment option via additional research and the links you provided. Perhaps I will even do some articles on it in the future. Thank you for bringing this option to my attention. Thanks. I will happy to help with any further information you need. Terrific. Thank you for the offer. I will be in touch after some further research. I would suggest you speak with Dr. Charles Loprinzi Head of Oncology form The Mayo Clinic and Dr. Thomas Smith head of Palliative Care at Johns Hopkins. The “true” bottom line is the one that leads to pain relief in the most thorough, most enduring way for the individual in pain. Ruth, I’m glad this therapy has worked for you and others, but you sound more like a person with an agenda–like a stockholder or salesperson–than someone genuinely interested in helping others in pain to explore available relief options. Your over-the-top insistence has made me more wary of the Scrambler. Your focus on how “expensive” the Medtronic procedure is has made me more wary of you. Besides, “expense” is a relative thing. How many people are trained on how to properly use the Scrambler? Would a person have to travel to go and use it? Is it recognized by insurance providers as a viable option? You haven’t provided any reference to comparative costs, but do make a big deal about the money. Most often patients do not have the luxury to travel cross country and see/work directly with a particular doctor or researcher. Personally, I have had the fortune of working with a great, pain doctor who was, in fact, the first doctor ever board certified in pain management in the USA, and considered one of the foremost experts in the field. Equally important, he knows my case and considered a variety of options before making any final recommendations about any treatment regimen; that’s what doctors do … they consider/promote SEVERAL options. Leigh’s blog about her own personal experience is totally legitimate. If you are as grateful as she is that Calmare has helped you, then blog about it yourself. WordPress gives out free accounts so there’s no need to persistently commandeer someone else’s blog, and then you can provide all kinds of great information about how this miracle procedure has helped you. This post was about how a Medtronic neurostimulator helped someone in pain and I second the opinion expressed from my own experience. I’m confident that no one goes in to see a Primary Care Doctor for the first time about pain and then walks away with an appointment for a neurostimulator implant surgery. That someone considers Calmare before neurostimulation? That totally depends on the individual case and is far from a “no brainer.” When one in five patients doesn’t benefit, careful consideration should be the course of action. In my case this procedure would not have worked even before my neurostimulator. Thank God I had a doctor with the experience and wisdom to recognize that and recommended the procedure most likely to help me. Enough said. Thank you for your comments. I feel it is important to spread the word and let people know there are options out there. There is hope and chronic pain sufferers should not abandon their quest for better pain management. It is all about what works best for the individual.